There’s more to designing the laundry room than you may expect. 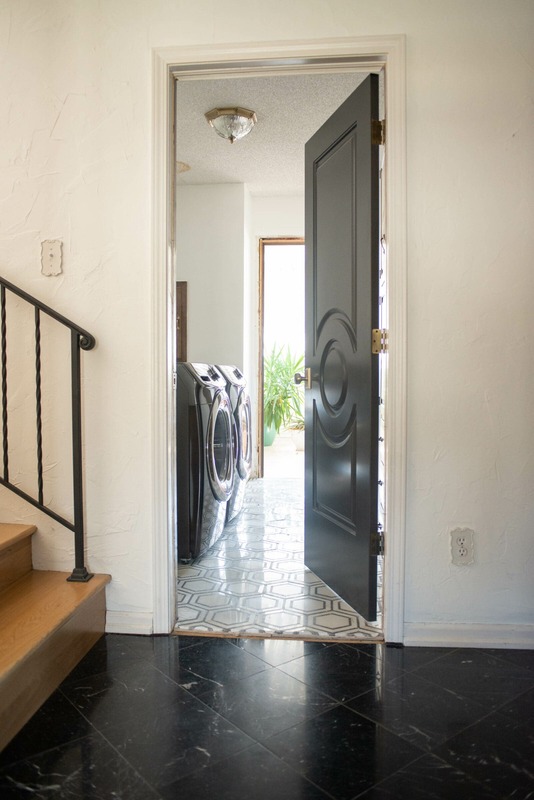 The laundry room layout will play a big role in how functional the laundry room is overall. Add functionality and design with these tips for the laundry room. We are doing a deep dive today on laundry rooms. Whether you’re gutting and redoing a laundry room from scratch – or just thinking about small updates to refresh your space – maximizing the space you have to work with, considering how you use it, and evaluating how you need it to function are always key to creating, designing and having a functional room that you love. Suzannah and I have both have or had small laundry rooms. As you know, I’m currently working on designing a more functional laundry room out of my small space right now. We are constantly inspired by laundry room designs and shared a bit about a few that we love. So, whether you have a small laundry room or a large one, look at some of these inspirations for your laundry room makeover. Suzannah and I both have laundry room boards on Pinterest if you want even more inspiration!